Asthma is often considered to be a childhood disease, but it can appear for the first time in adults and often persists from childhood throughout adulthood. Fan Yang, MD, at Healthville PLLC provides ongoing treatment for children and adults who have asthma. It’s important to have the medication you need on hand if you have an asthma attack, so book an appointment online or call the office in Little Rock, Arkansas. Asthma begins with inflammation in the airways of your lungs. The inflamed airways become hypersensitive to certain substances or changes in your environment. The substances then become triggers that activate an asthma attack. These actions make your airways constrict, blocking airflow and making it hard to breathe. Once you develop asthma, the airways stay inflamed and swollen, making you more vulnerable to future asthma attacks. Asthma commonly occurs in childhood, but it can develop at any age. Overall, it’s estimated that more than 8% of all children and adults have asthma. When physical activity causes an asthma flare-up, it’s called exercise-induced bronchoconstriction (EIB). The symptoms usually appear within a few minutes after you start exercising. If you develop EIB, Dr. Yang can prescribe treatment to help prevent the problem. 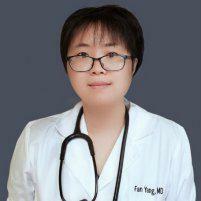 Dr. Yang performs pulmonary function tests as you breathe to measure airflow and evaluate lung function. Then your treatment plan focuses on two goals: restoring your airways when you have an attack and preventing future asthma flare-ups. These medications are inhaled to provide rapid relief during an asthma attack. A hand-held nebulizer is used to convert your asthma medication into a fine mist that you can breathe in. You may take pills or use a nebulizer treatment daily to keep asthma under control and prevent future asthma attacks. When Dr. Yang suspects allergies, he performs allergy testing and talks with you about treatment such as immunotherapy. Treating your allergy helps limit asthma attacks. If you experience frequent coughing, wheezing, or other signs of asthma, call Healthville PLLC or book an appointment online.